Mutton Keema is a very popular recipe. 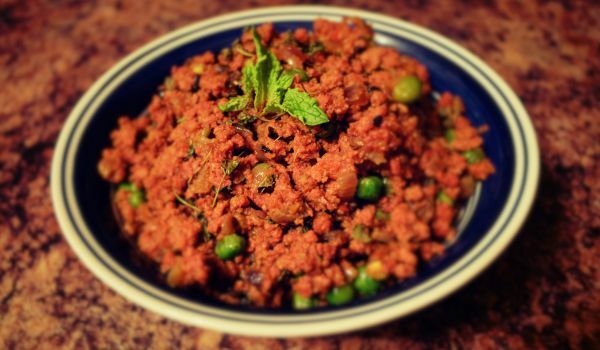 Learn how to make/prepare Mutton Keema by following this easy recipe. Heat oil in a kadai or pan and toss the onions in to it. Stir-fry, add ginger and garlic paste. Wait for onion to turn brown and add tomato pieces. Let the tomato turn soft. Add turmeric powder, chili powder and coriander powder. Mix well. Wait for few minutes and transfer minced meat. Add half a glass of water and close the vessel with a tight lid. Cook on a low flame. Occasionally open the lid and stir the contents slowly. In less than 15 minutes, the minced meat should be cooked. If gravy is required, stop cooking. Sprinkle coriander leaves before serving. If dry minced meat is required, allow it cook till the water is completely absorbed. Sprinkle coriander before serving.